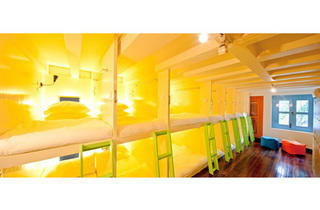 The peeps behind this sunny, blue- and orange-coloured hostel knew exactly the concept they wanted: a pod-style dormitory for travellers seeking an above-basic experience. Flashpackers – as their guest demographic is known – are a breed wedged in between budget-hostellers and hotel vacationers who cherish their modern conveniences, and want the affordability with the amenities. 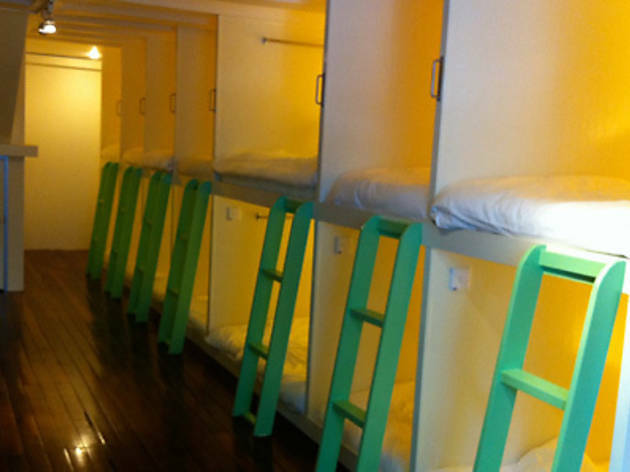 Matchbox The Concept Hostel ticks all the right boxes. 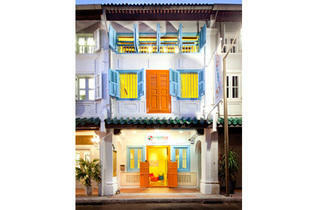 Installed in a three-storey conservation shophouse on a street that was – and, to a lesser degree, still is – populated by old Chinese clubs and clan associations, Matchbox has its heritage credentials down pat: this building is part of the Ning Yeung Wui Kuan, the oldest Chinese clan association in Singapore. 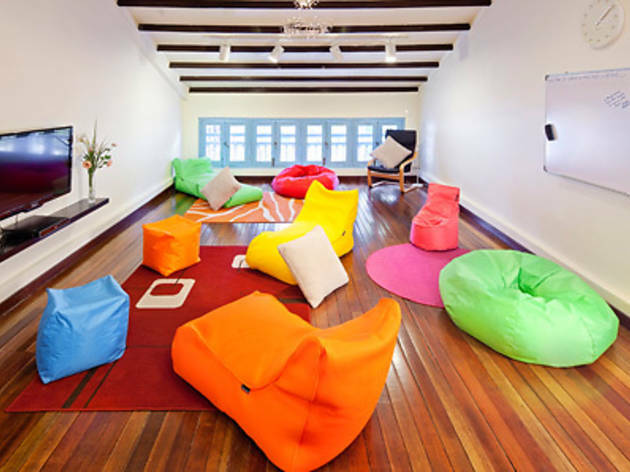 Established in 1822, it was originally a temple and meeting hall for Cantonese immigrants. Now renovated to contain three rooms, three lounge areas, a pantry area and nine bathroom stalls, the shophouse’s original structure, courtyard features and beams have been left standing, some exposed for that titbit of heritable authenticity. 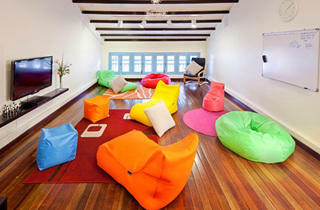 Everything else caters to more modern needs. 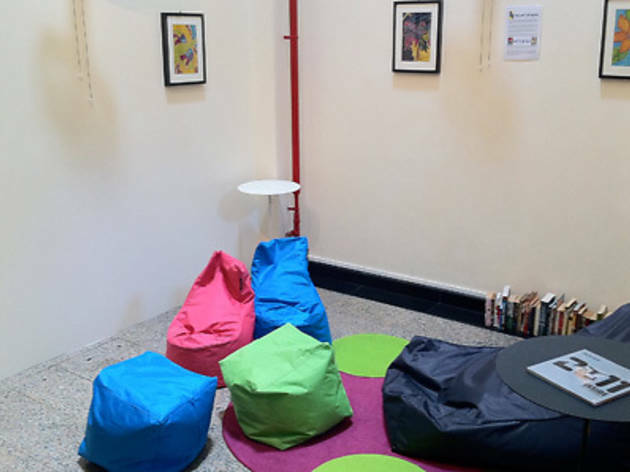 Four laptops are available for guest use, and books and magazines (Asian travel reference and reading – not simply the trashy ones that travellers discard) are stashed in every available space there is for guests to pick up and read. 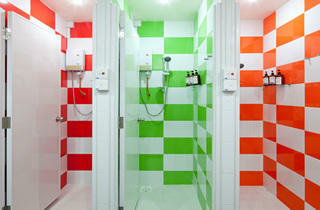 Such thoughtfulness filters down, with attention to detail impressive throughout the hostel. 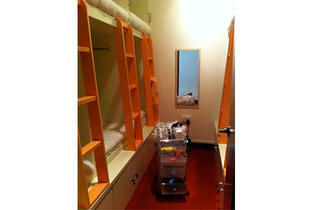 Matchbox is made up of a 12-bed, ladies-only dorm, a two-bed private and an 18-bed mixed dorm (16 singles, two doubles). 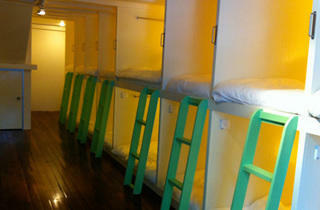 In each room, the sleeping pods are designed to be like matchboxes, without the bottom surface enclosed. 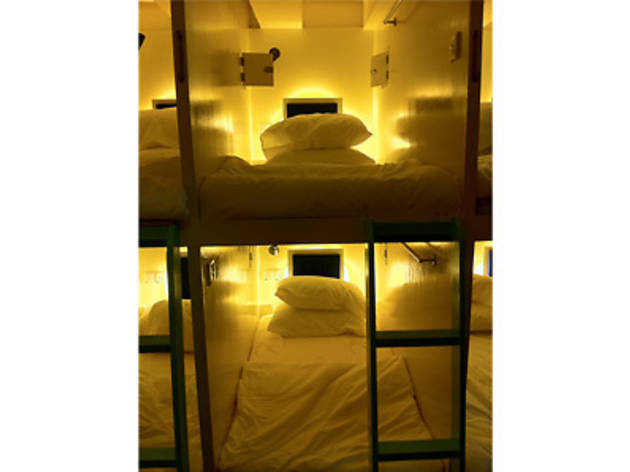 Claustrophobes needn’t worry – unless you’re freakishly tall, the ceilings of these pods are high enough for you to stretch your arms upwards when sitting upright. 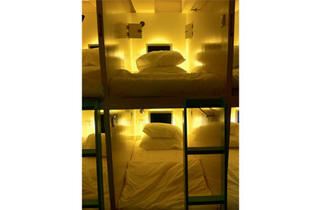 There are also small, latchable ‘talking’ windows on both sides of the pod walls, so friends sleeping in neighbouring pods can converse without climbing out of their capsules; a reading light; sockets for plugging in chargers; and spaces to stow backpacks and luggages underneath the beds. 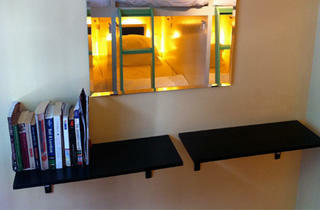 Clearly, the design is not merely geared towards space-efficiency; quality of sleep ranks highly, too. There are two pillows on every bed. 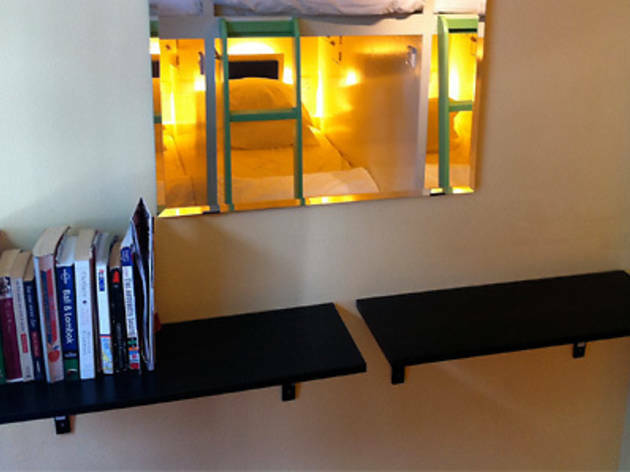 ‘One is hard and the other soft, because everybody sleeps differently – [these are] for back and side sleepers,’ says Matchbox’s owner Mag Wan. 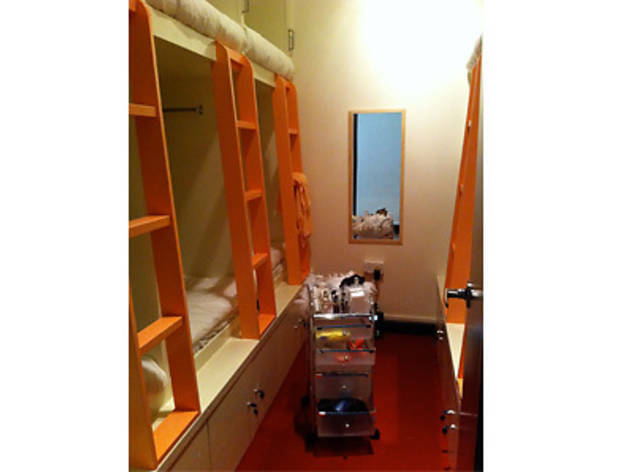 In the ladies’ dorm, a cart furnished with female products is available for general use: nail polishes, make-up remover, perfume (L’Occitane at our time of visit), a hair curler and a hair straightener. 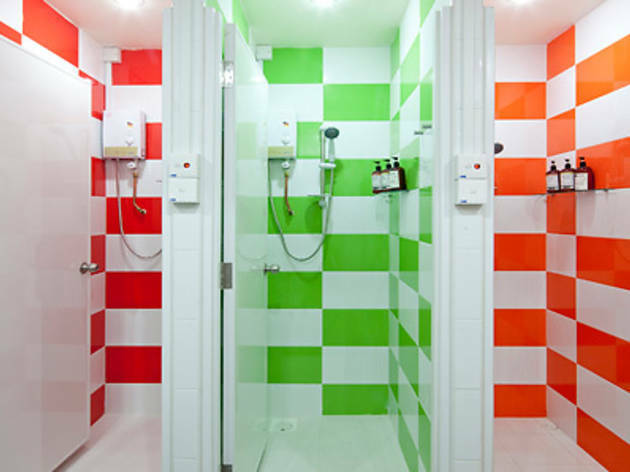 Matchbox is also the first hostel in Singapore to have secured a partnership with the local Spa-Esprit brand, so guests have free-to-use shampoo and body wash in the brightly tiled shower stalls. 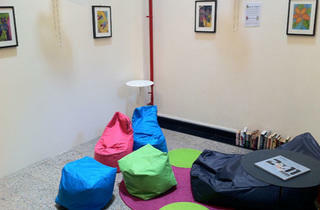 In the lounge areas, Singaporean beanbag meister Ministry of Chairs furnishes the seats, while the purchaseable artworks on the walls were created by charity organisations Northlight School and the Movement for the Intellectually Disabled of Singapore (MINDS).